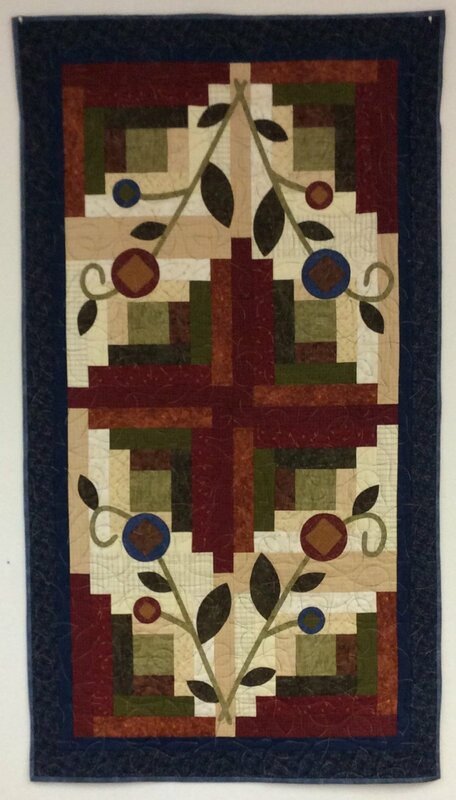 Featuring the Hip to be Square fabric designed by Janet Rae Nesbitt for Henry Glass, this Patchwork Garden kit (PGK) makes a 30" x 54" wall hanging or runner. Hip to be Square was created in a folk art style with a deep rich primitive palette. The kit includes the binding and pattern.